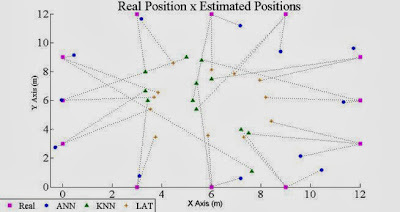 Abstract-In Wireless Sensor Networks, several protocols and algorithms seek to prolong the network lifetime; among them, the localization algorithms are used as an accessory to provide the smallest distances for sending messages. 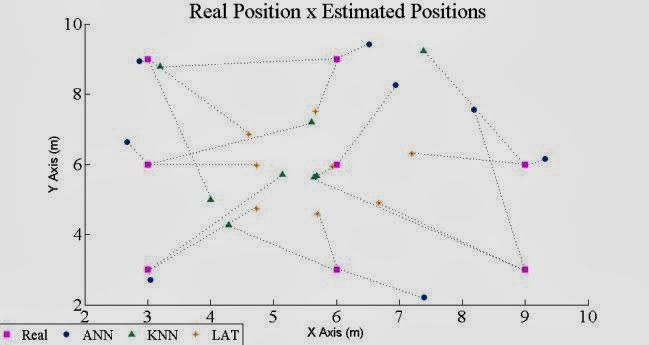 This paper compares the Lateration, KNN and ANN as localization techniques to estimate planar coordinates using the RSSI in an indoor environment using a real WSN based on IRIS motes. The results show that a well worked out ANN is superior to Lateration and KNN. 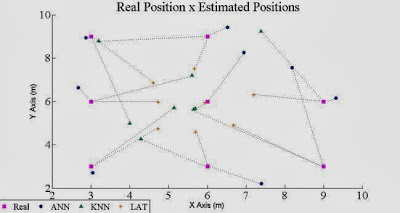 Our application of ANN used for the localization of nodes in WSN is accomplished through the acquisition of RSSI from the messages sent from each node. Subsequently, these data are used to train and validate the network. For each location point, the mean and standard deviation are calculated to identify the 10% worst samples. With this, only accurate samples are used to train the ANN. To train the ANN, the collected points (x, y) are normalized maintaining those data output values between 0 and 1. 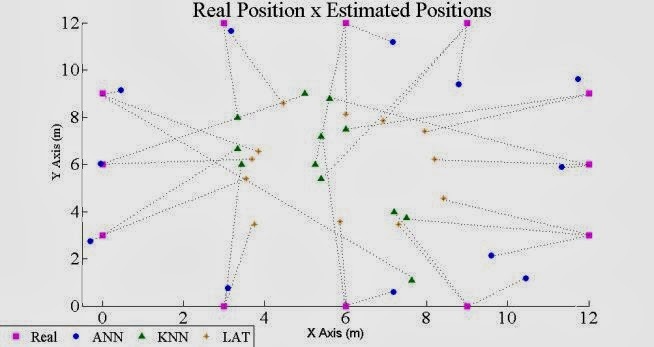 To define the architecture of the ANN, several tests are done to achieve a satisfactory configuration of the ANN, i.e., number of hidden layers, number of neurons in each layer, activation function for each layer or neuron and training algorithm.